Jesse P. Evans III is a partner at Evans and Evans, LLC. 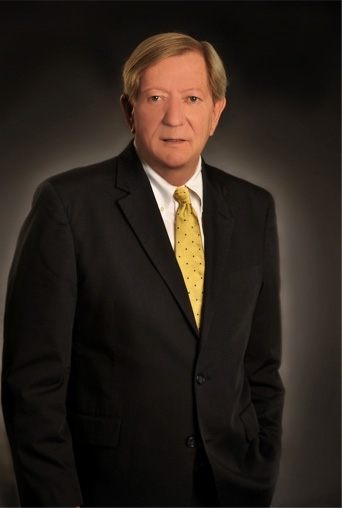 Mr. Evans has represented clients in a wide variety of real estate development, land use, eminent domain, general business, title insurance and real estate matters for 40 years. Mr. Evans has served as lead counsel in approximately two hundred jury trials and a greater number of bench trials as well as over one hundred appeals in the state and federal courts. He is the author, along with co-author Price Evans IV, of Alabama Property Rights and Remedies (5th ed. ), one of the leading works on real property law in Alabama, and is a member of the Board of Editors of the Alabama Lawyer. He has also served as a Professor of Law at Birmingham School of Law and as an Adjunct Professor at the University of Alabama School of Law. He has been active in the Greater Birmingham Home Builders Association and the Home Builders Association of Alabama for a number of years and currently serves as GBAHB’s General Counsel. He was the first Alabama member of the Legal Action Network for Development Strategies, an elite group of real estate development lawyers associated with the National Association of Homebuilders. He has spoken at the annual LANDS conferences on diverse topics. Jesse is a member of the Real Estate Study Committee of the Alabama Law Institute that reviews and proposes to the Institute legislation and amendments to existing legislation thought beneficial to the State of Alabama. Mr. Evans is listed in The Best Lawyers in America© for Real Estate Law, Land Use and Zoning Law and Eminent Domain and Condemnation Law (since 1995), as well as in Alabama Super Lawyers (since 2008) in the categories of Real Estate, Eminent Domain, and Land Use/Zoning. In 2011 and 2012, Mr. Evans was named by Alabama Super Lawyers to “Alabama Top 50.” Mr. Evans is also recognized in Chambers USA: America’s Leading Lawyers for business and Real Estate for Zoning/Land Use. He was recognized by Best Lawyers ® as Birmingham’s 2011 Land Use and Zoning Law Lawyer of the Year; 2012 Litigation-Real Estate Lawyer of the Year; 2015 Land Use and Zoning Lawyer of the Year; 2015 Litigation-Real Estate Lawyer of the Year; and 2017 Litigation-Real Estate Lawyer of the Year and Birmingham Magazine’s Top Attorney for 2018 in the categories of Commercial Real Estate and Real Estate. The Birmingham Bar Foundation (BBF) selected Jesse P. Evans III as one of its 2015 Class of Fellows. The members of the 2015 Fellows Class were selected for this honor because of the commitment and leadership they demonstrated in the legal community. This group of attorneys and judges demonstrated a spirit of excellence in their field of practice and have enhanced the general prestige of the profession through Bar and civic leadership. Mr. Evans was also elected by The Birmingham Bar Foundation as a Life Fellow in 2017. The American Bar Foundation also selected Jesse P. Evans III as one of their 2015 Class of Fellows. The Fellows is an honorary organization of attorneys, judges, law faculty, and legal scholars who have demonstrated outstanding leadership in the profession and service to society. They are nominated by their peers and elected by the Board of the Foundation. Fellows are limited in each jurisdiction to one percent (1%) of the lawyer population in that jurisdiction. Mr. Evans is a member of the Limestone County, Birmingham, and Alabama Bar Associations. He is also a member of the Court of Federal Claims and Federal Circuit Bar Associations.